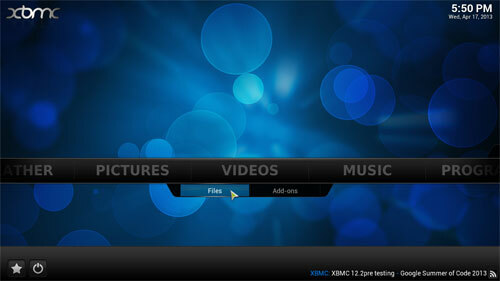 Now that you have successfully installed XBMC, you need to configure it to play your TV Shows. First thing to do is open XBMC if it is not already open and in the categories navigation area lower half of the screen move the cursor to the right or left to make the navigation contents scroll right or left until the category "VIDEOS" is in the centre of the screen, now highlight "VIDEOS" there should be sub-categories under the "VIDEOS" category. Highlight Files and click it. When done this will open the following screen. Click on "Files" as highlited. Now click on "Add Videos..."
From This requester you can select the location where your Movies are located on your system. 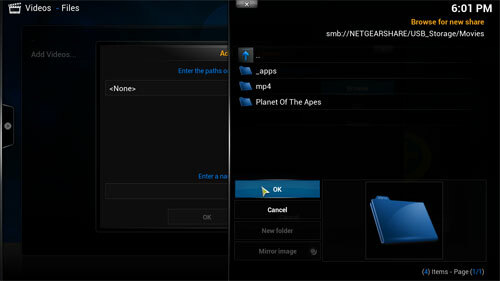 You can also choose a network drive if your Movies are there, this tutorial will use the network drive option and we will select "Windows network (SMB)". 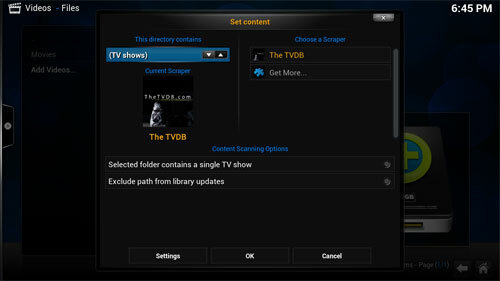 When you see the contents of your drive navigate through the directories and select the directory where the TV Shows are located. 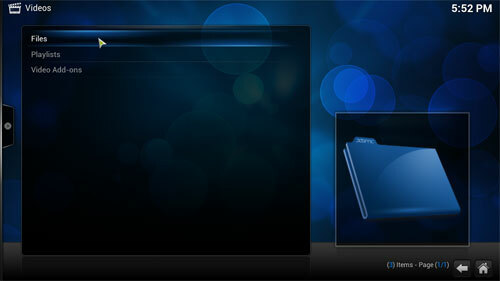 In the next screen you should see the directories within your selected directory. If this is the right directory select "OK". If all is ok then select "OK" again. 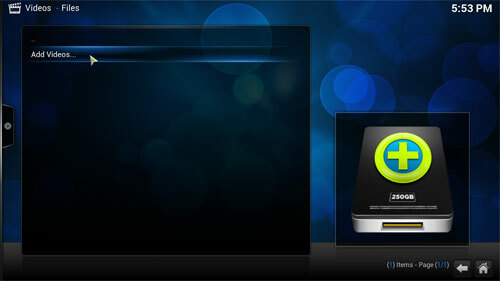 In the next screen is where we tell XBMC what our source directory contains, in this case its "(TV Shows)". When your happy with the settings select "OK". Next screen is refresh info for contents of selected directory, select "Yes". When you've selected ok you will be presented with this next screen, keep an eye on very top almost to the right as this updates the database with info about the TV Shows it finds. This item can take a long time depending on how many TV Shows you have in your collection. When finished you should be presented with the following screen showing some of the TV Shows in your collection. Thats it now go and play a TV Show or two.